The Nexus 7 wasn’t a complete surprise when Google unveiled it at I/O two weeks ago, but that doesn’t mean it didn’t impress. At $199, this tablet sports specs that most “high-end” tablets can’t compete with. Sure, Google and Asus had to cut a few corners to keep the price so low, but after having one in my hands, it certainly feels like they cut in all of the right places. There is no need for review trickery here, we are going to recommend this tablet over and over again. So jump through the review to find out why. Price: What else should have been bullet #1? 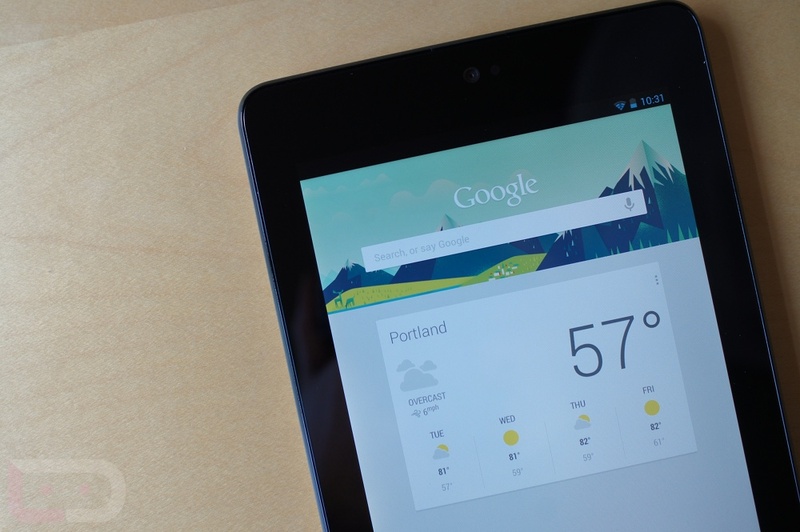 At $199 and $249, you won’t find a better deal on a tablet. 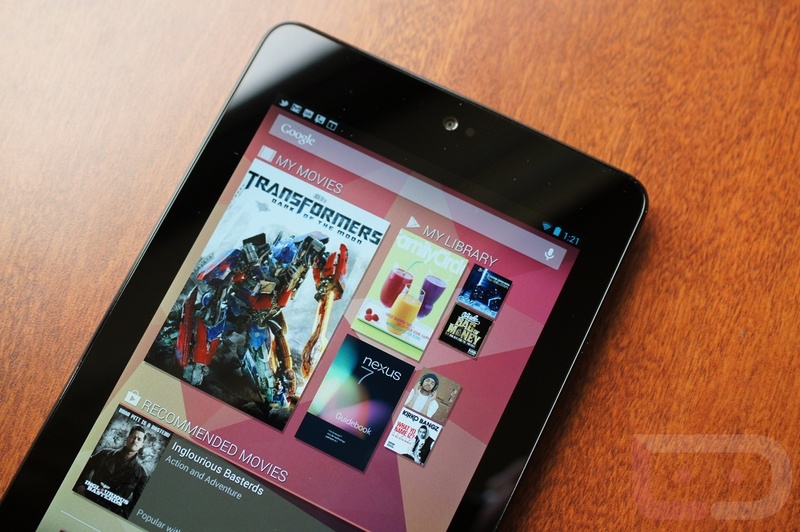 Sure, the Kindle Fire matches the Nexus 7 in price, but comes no where near it in specs, build quality, or Android experience. It still blows my mind a bit to think that this bundle of tech goodness is so affordable. 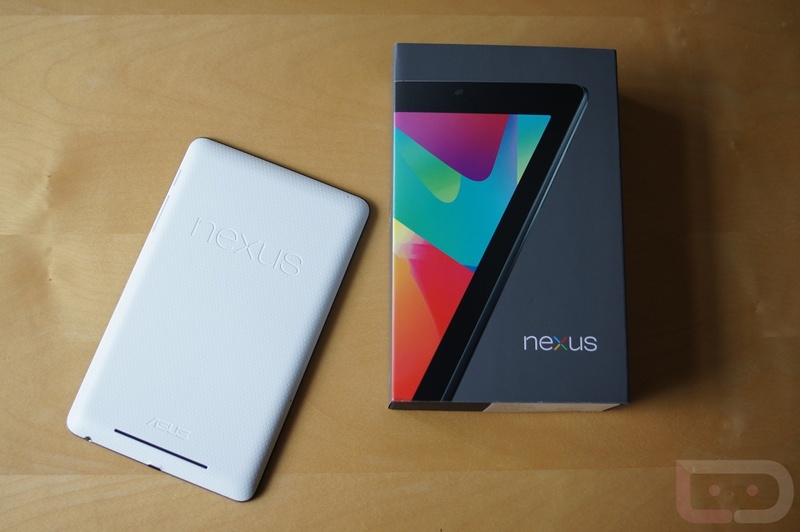 Specs: With its Tegra 3 quad-core processor, 7″ HD display, 1GB of RAM, and 4325mAh battery, the Nexus 7 is close to having everything in a tablet that you could ever ask for. Sure, you may want a retina display and a rear facing camera at some point, but including those would also raise the price another couple of hundred dollars. This tablet was meant to be ultra-affordable yet powerful – it has done that and then some. 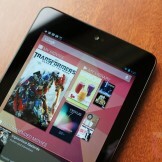 If you look at the tablet market today, you won’t find many that can compete with the Nexus 7 in specs, let alone price. It’s a Nexus: Why is it important to be a “Nexus”? Because this device will be updated before any other. Google seems to be fed up with slow update rollouts from OEMs and carriers and has taken to selling their own Nexus branded devices like the N7. This gives them complete control over everything. There are no OEM or carrier barriers here – if Google wants to update this device, they can and will. 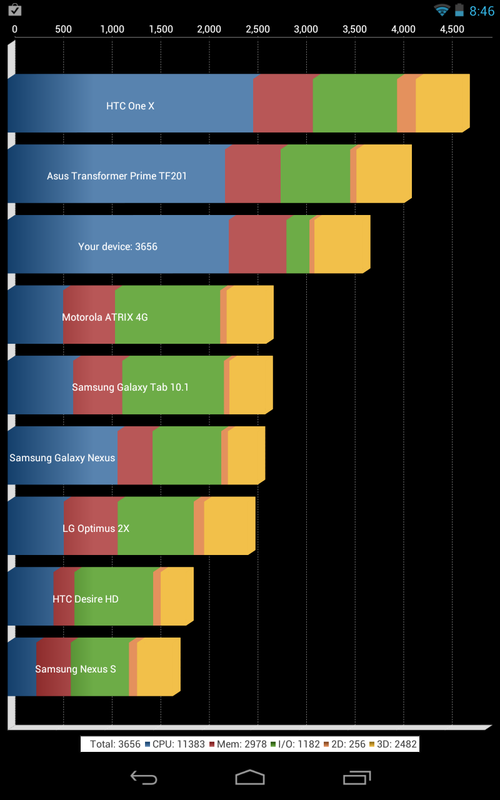 Performance: Thanks to the coupling of Jelly Bean, its “Project Butter,” and the Tegra 3 processor, the Nexus 7 is one of the speediest devices we have ever used. Benchmarks show a device that can compete with the best of them, but on a user level, you’ll notice the overall smoothness while operating it. 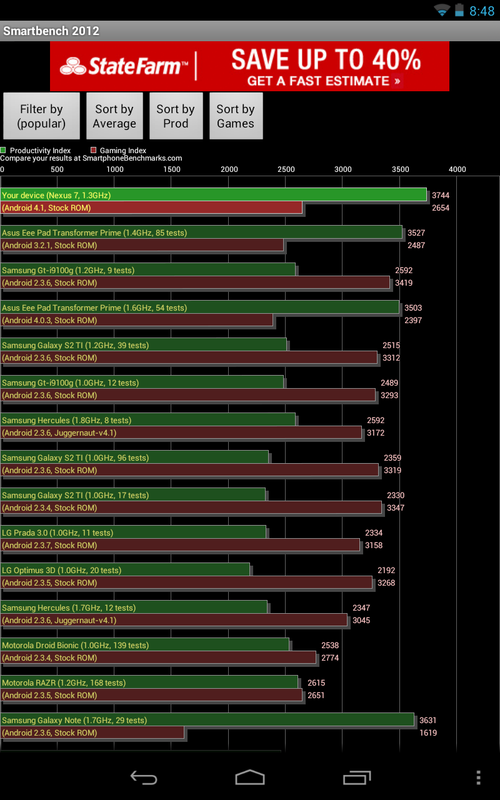 Google always takes the time to optimize its Nexus devices with chosen chipsets and the current version of Android, something that is apparent here. Switching between apps is ultra-fast, there are no stutters in transitions, the most robust HD games operate at high frame rates, and multi-tasking can happen in an instant. 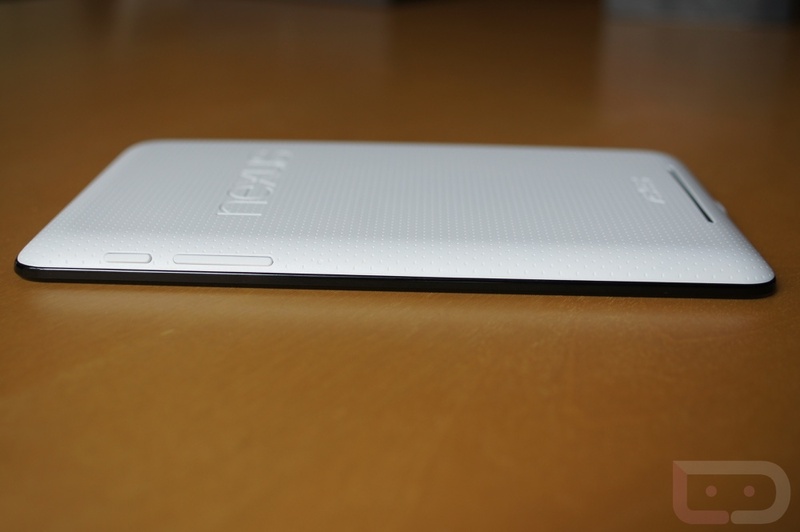 Size and Design: To me, the 7″ tablet is the perfect size. It can be pocketed if need be and is easy to hold in one hand for long periods of time (weighs just 340g). But not only does the Nexus 7 have the right size, Asus and Google designed this to feel amazing. What I mean is that they put this faux-leather-rubberish backing that’s soft and comfortable to the touch, yet is grippy enough to keep it in your hand. There is also enough bezel around the edge of the device to hold it without performing random screen touches. For example, in landscape, you have extra bezel on each edge where your thumbs would sit to let you hold the N7 comfortably. They even put the volume rocker and lock switch (back-top-right) in a spot that can be accessed at all times without much effort. 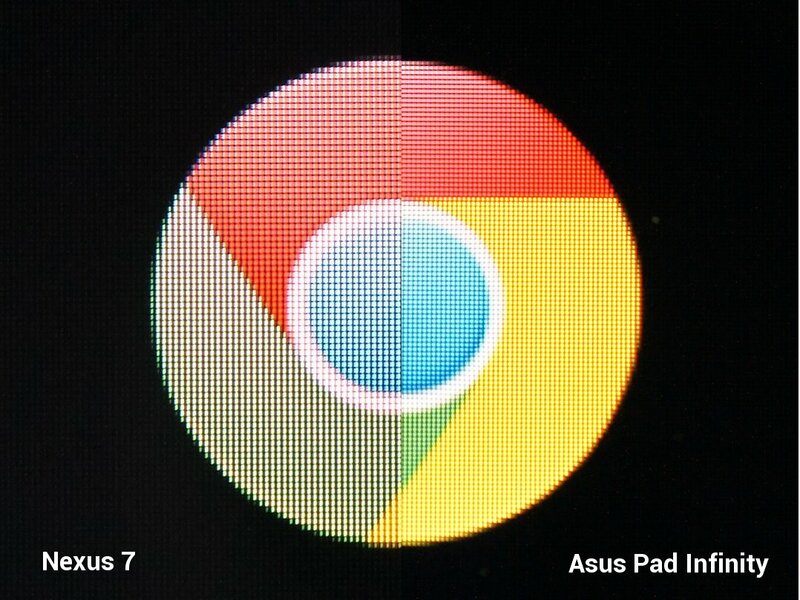 Display: At 216ppi, the Nexus 7’s display might not carry the “retina” tag, but it’s pretty damn good. As an IPS LCD, it gets plenty bright, won’t show ghosting, and displays colors much more naturally than say an AMOLED would. HD videos look impressive, the viewing angles are solid, and it’s less of a fingerprint magnet than tablets we have tested in the past. 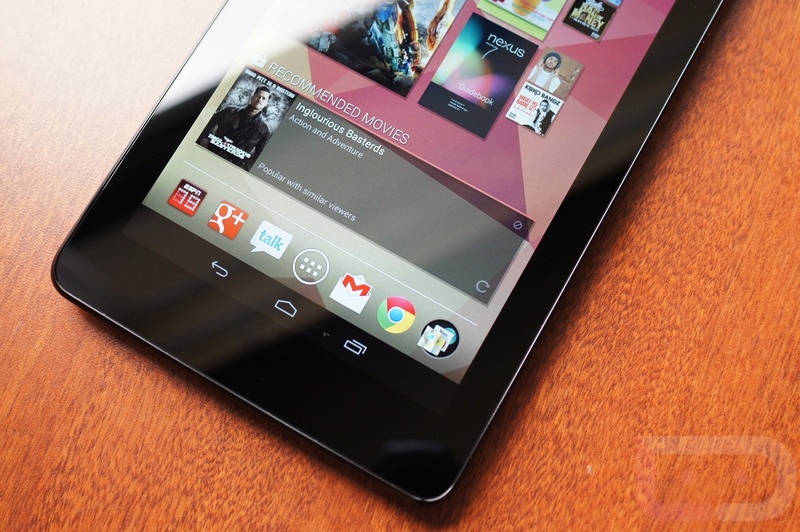 Jelly Bean: Android 4.1 and the Nexus 7 feel like a match made in heaven. While the home screen and launcher setup mimics that of a phone, most of the stock Google apps all show their tablet counterpart when used. The grid on home screens has been upped to 6×6 and certain widgets have been built to take advantage of it. The new notifications in Jelly Bean look big and bold on a 7″ device, Google Now works instantly, the transitions are “buttery” smooth, and the task switcher pops up without hesitation. 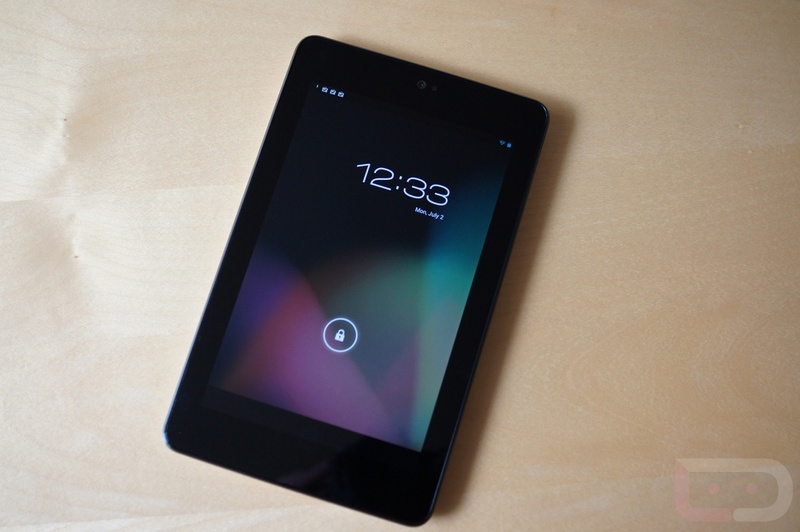 We have talked about he new features in Jelly Bean already, but if you want to get a feel for it on the Nexus 7, be sure to hit up our overview video below. Gaming: We had a chance to talk to NVIDIA at Google I/O after the announcement of the Nexus 7 and they mentioned that this 7″ size was perfect for gaming because it was like holding a gamepad or controller. I couldn’t agree more. While gaming on the N7, you can reach controls easier than on a 10″ device, but also, when you have to interact with a game, it’s simple to jump back to those controls. And speaking of NVIDIA, since this device sports their Tegra 3 processor, you get special gaming privileges aka games that have been built specifically for devices like this. 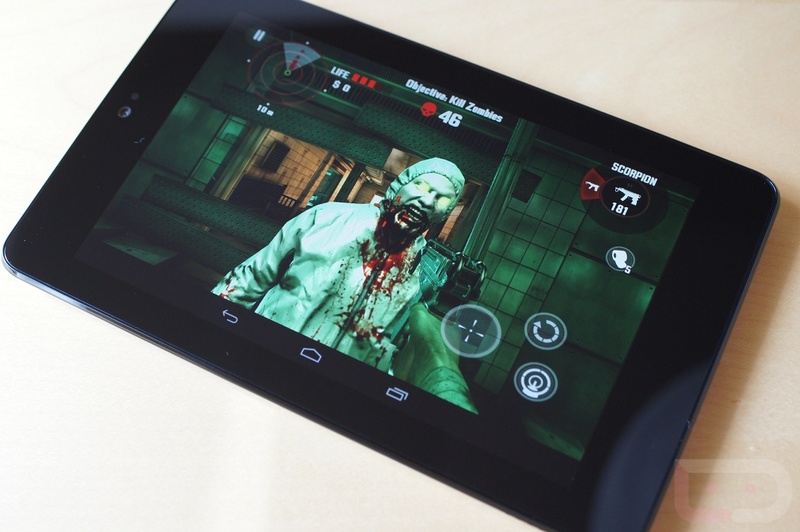 Shadowgun and Dead Trigger won’t look as good on non-Tegra devices as they will on tablets like the Nexus 7. Battery Life: The Nexus 7 rocks out with a 4325mAh battery that should last up to 8 hours with “active use.” I don’t know what “active use” means, but I do know that this device should get you through most of a day if you are hammering away on it. If you use it here or there, possibly as an entertainment device, it should get you through more than just a single day. As someone that uses tablets sparingly, I would say that I have probably charged it all of 4 times since receiving it 2 weeks ago at Google I/O. It won’t win an award for battery life, but it also shouldn’t frustrate you. 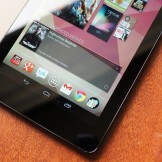 Media Suite: Google is taking this media game seriously and it starts with the Nexus 7. At the announcement of it, they also announced all new Google Play apps for music, movies and tv, and magazines. They are going to do whatever they can to get you to gobble up entertainment, and this device puts it all easily at your fingertips. 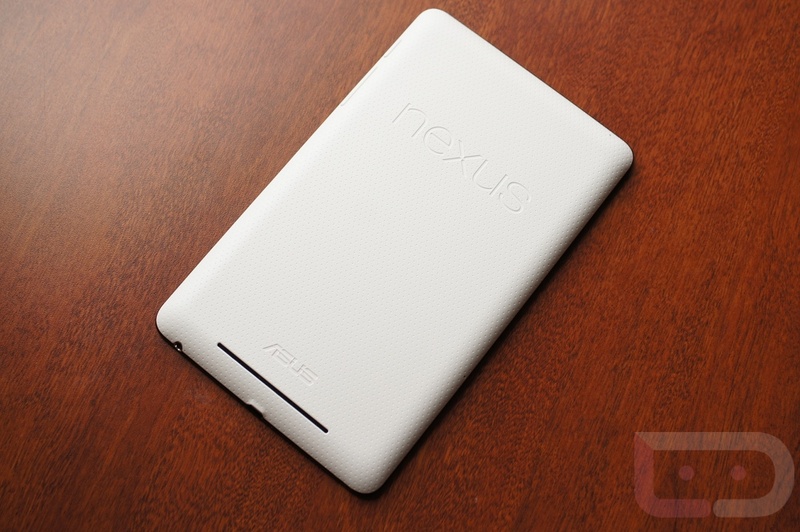 Storage: If you are going to buy a Nexus 7, buy the 16GB version. 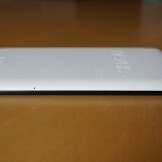 It will run you $249, but the extra internal storage will be worth it. My unit only has 8GB of storage, and trust me when I say that you can fill that up in no time. If you are a media junky that downloads more than a movie or two at a time for travel, you will run out of space quickly. 2GB or so are taken up by the OS, so after downloading a couple of big HD games and a 2.5GB HD movie or two, you will have nothing left. 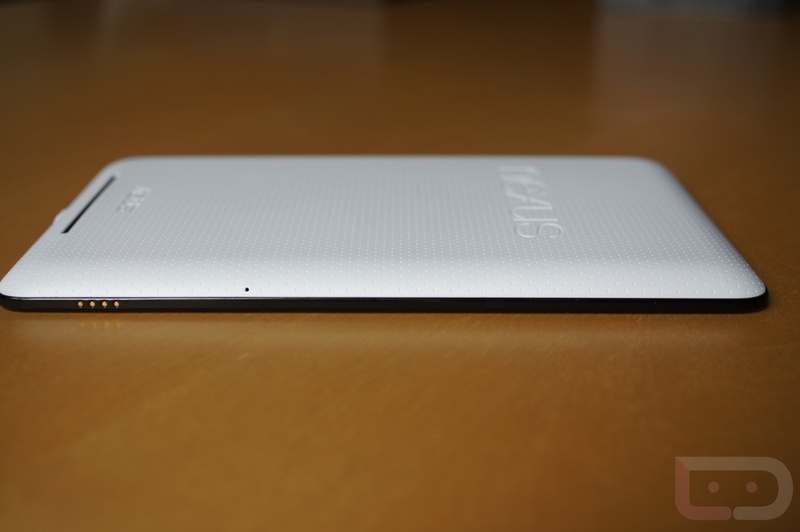 And since there isn’t a microSD slot to expand that storage amount, you need to invest in the extra storage up front. 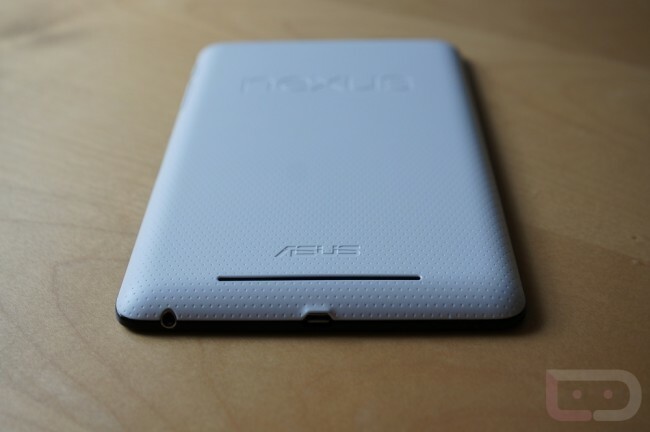 Rear Camera: I personally couldn’t care less that the Nexus 7 does not have a rear camera, but some of you might. If you are into taking pictures with a giant glass slab, then this could be a downer to you. Most tablets these days, other than the Kindle Fire, have a rear camera, however, this was likely a move to keep the price down. 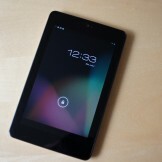 No HDMI or MHL: Sorry, folks, the Nexus 7 does not have much of a video-out option. It’s microUSB port does not support MHL and there isn’t an HDMI slot to b e found either. Leaving either of these out is probably a cost cutting measure, but with Google also trying to push the Nexus Q and its wireless media playback, this sort of makes sense. That doesn’t mean we aren’t disappointed, though. Review seem short? It’s short because this one is simple to me. 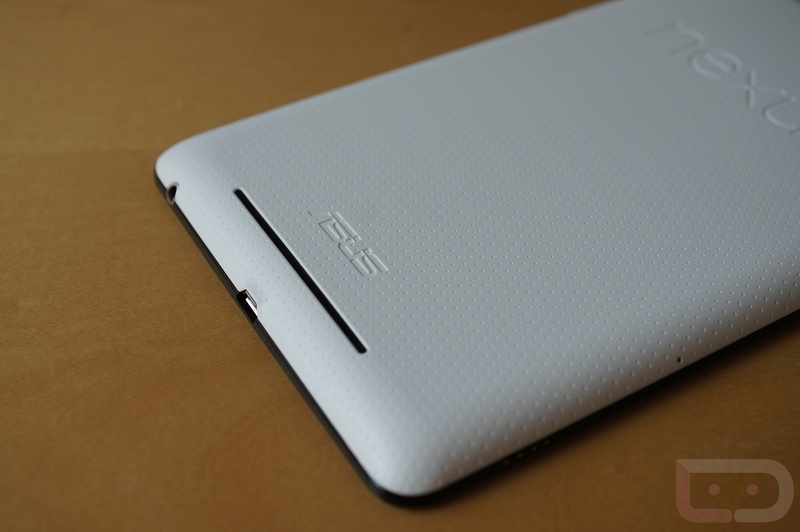 This is the best Android tablet available. The specs are top tier, it’s a Nexus, the screen is beautiful, the design and size are perfect, and it was made to be a media consumption monster. Oh yeah, the price is also stunningly low at $199 (8GB) and $249 (16GB). What else could you want from a tablet? If you do choose to pick one up, just be sure it’s the 16GB model so that storage is never an issue.